No thanks to PBS who moved Sherlock from 9 PM to 7 PM to the airing of 'The Final Problem', I was able to see the episode thanks to my current cable / internet provider's website. 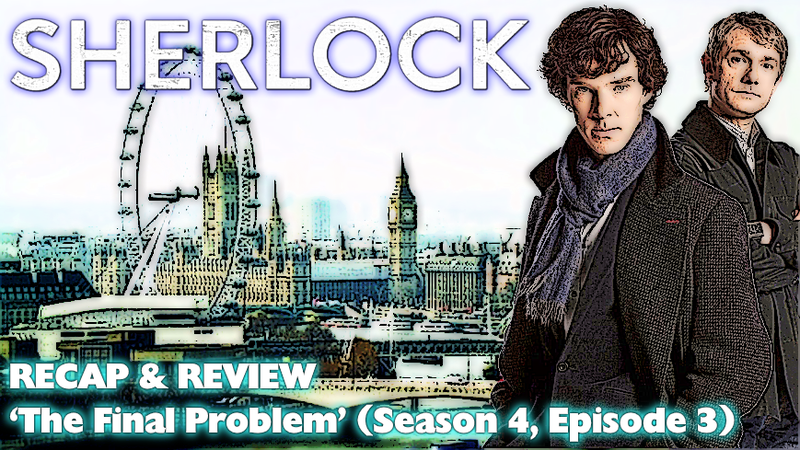 So I bring you my review of the final episode of Sherlock's fourth season. Heavy Spoiler Warning! Boy oh boy was this a crazy night, and as you know I addressed the issues with Sherlock’s time slot being changed by PBS earlier tonight. Thankfully my Cable / Internet provider got ‘The Final Problem’ online at exactly 9 PM, meaning I was able to sit down, watch and completely enjoy tonight’s episode… just later than everyone else! 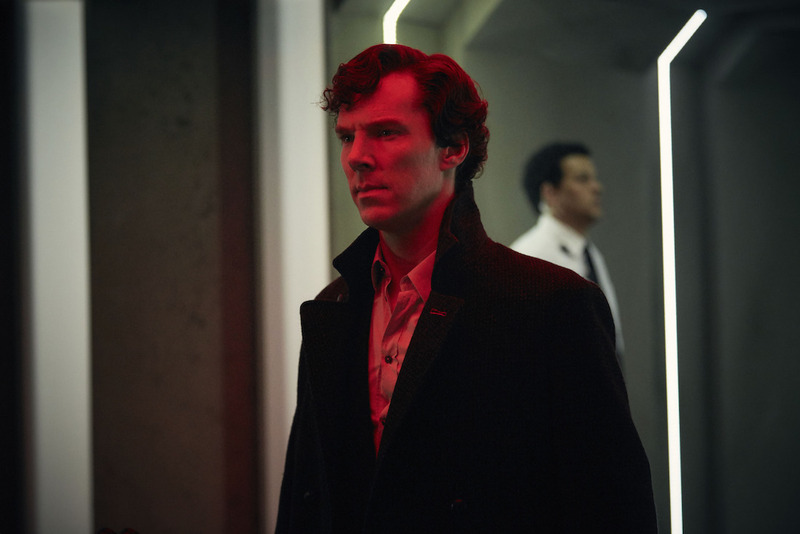 And in a world, tonight’s episode was incredible…it was SAW meets Sherlock Holmes when you get right down to it. In many ways felt like the closing chapter on Sherlock as a TV series. Yes I know the show runners Moffat and Gatiss has said they plotted out a fifth series, and Cumberbatch said he signed on for a fifth series, but tonight’s episode felt like a safe ‘just in case’ closing chapter, as basically just about every damn loose end imaginable was wrapped up, including the stuff with Moriarty. 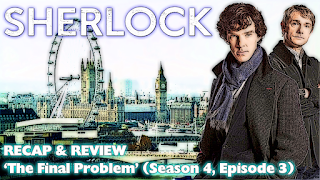 This episode was all about explaining why Sherlock is the way he is and it’s because of dear sweet little sister Euros, who all she wanted to do was to play with her older brother, but he was busy playing pirates with his friend Trevor… so she sent Trevor down a well… and Sherlock re-wrote his own memories and everything he’s done since that day was because of his sister, even though he blocked her out of his memories… but when she comes back, she’s back with a total vengeance to play with her older brother… a deadly game… where Sherlock has to choose either Mycroft of John to kill the Governor of the facility Euros has all this time…. To get Molly Hooper to say she loves him or else she’ll be blown to bits (which ends up being the case in an emotional sense)… and to kill either Mycroft or John to continue ‘playing’… you see why I said this was SAW meets Sherlock earlier, because this is all very elaborate and well planned… and it goes back 5 years to a day where as a reward for ‘helping’, Euros got to have a 5 minute conversation with Morority and got him to ‘help’ set it all up. Yeah, that’s the big revelation there, Morority has been dead this entire time, and Euros was the puppet master all along. She has a way of getting insides people’s head to get them to say and do what she wants, and she managed to take over the entire facility she’s been held, thus explaining how she was able to arrange so many of things that lead to this twisted family reunion. Of the Holmes gets, she the ‘special’ one, she is incredibly clever and devious, but at the same time all she wants is to ‘play’ with her brother Sherlock. Now at the same time, she is quite insane, because she manage to separate part of her psyche to be a girl high above the clouds in an airplane that is going to crash because she is all alone, and she wants Sherlock to help her, to save her from crashing and burning. Thus bringing things full circle for her and by proxy for Sherlock. Which leads me to talk about how this episode felt like a ‘final’, everything screamed conclusion, with another message from Mary telling Sherlock and John who they are (The junkie who gets high off of solving mysteries and the doctor who never came home from the war) and a montage showing them seeing various clients and doing things day to day with a closing shot of them ‘running’ as if the game is afoot. Unlike previous series, there is no ‘apparent continuation’ for where the series can resume from., meaning if and or when there is a fifth series, it would be starting ‘fresh’. Stand out performance in this episode goes to Sian Brooke who played Eurus, and yeah she is the whole damn show. Her manner of speaking and the dead, cold eyes when she’s speaking from the monitors is just wicked and all around just brought to life a character that was awesome and terrifying.